Spend the night in Georgia’s oldest brick fort and experience history firsthand! 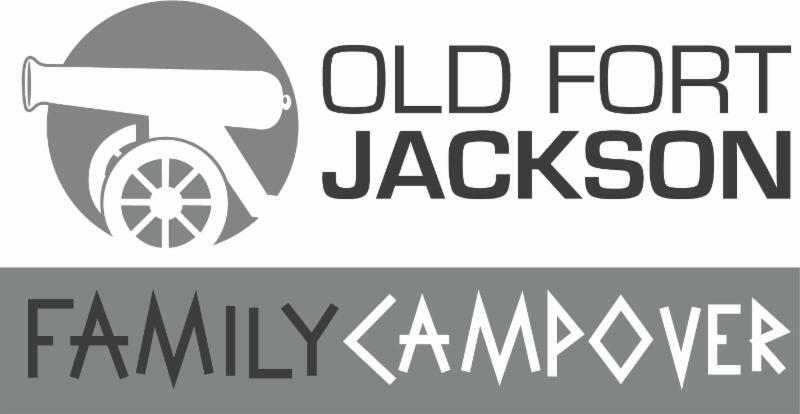 Registration is now open for the 2018 Old Fort Jackson Family Campover, the annual event for families to experience historic programs and family fun in a 210-year-old National Historic Landmark. 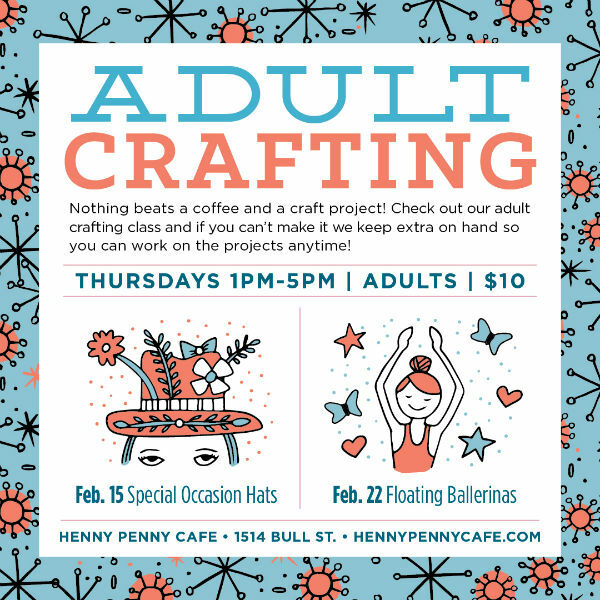 The event will be Fri. March 9, 5PM through Sat. March 10 at 9AM at Old Fort Jackson, 1 Fort Jackson Rd, Savannah, GA 31404. Check-in and tent set up will begin at 4PM and dinner will be served at 6:45PM. That night, guests will participate in historic military activities, play period appropriate games, make crafts, and drill on multiple stations throughout the fort. The next morning campers will rise, pack up their gear, enjoy a hot breakfast, and participate in the event closing ceremonies. Preregistration and prepayment are required and tickets are $65 for children ages 4 to 15 years of age. Tickets: $45 for adults 16 years of age and older. Event tickets can be purchased online here. A limited number of historic tents and bunks are available to reserve. Register today to claim your tents and camping spots! Register today to gain behind-the-scenes access to Savannah History Museum at the annual Night at the Museum event! Come live the adventure on Sat. 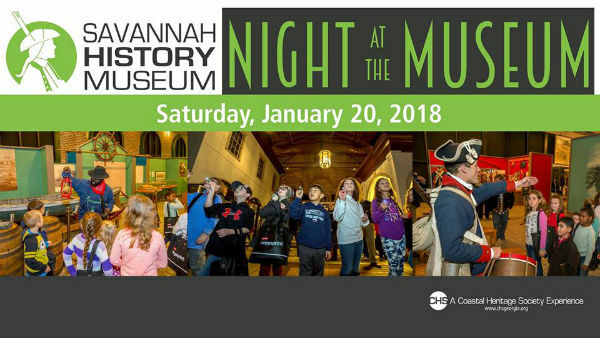 Jan. 20 2018 as we explore the museum, take a behind the scenes tour, interact with historical characters in many of Savannah History Museum’s lively exhibits, and catch one of our screenings of Night at the Museum (rated PG) in the museum theater. Click here to select your time and experience Savannah History Museum’s Night at the Museum event! Tickets are $12 for adults and children (18 mos. and up). 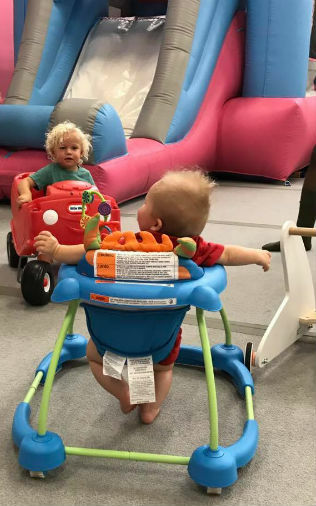 Interact with characters from Savannah History Museum’s exhibits as the historical figures appear to magically come to life. This year’s characters include: Juliette Gordon Low, Johnny Mercer, Forrest Gump, a Central of Georgia Railroad worker, a Revolutionary War soldier and more! Event participants will also have two opportunities to view “Night at the Museum” (PG) in Savannah History Museum’s theater at 3:00 pm and 8:00 pm. The 108-minute film screening is optional and seating is first come, first served. One of the most important jobs in a museum is the night guard. 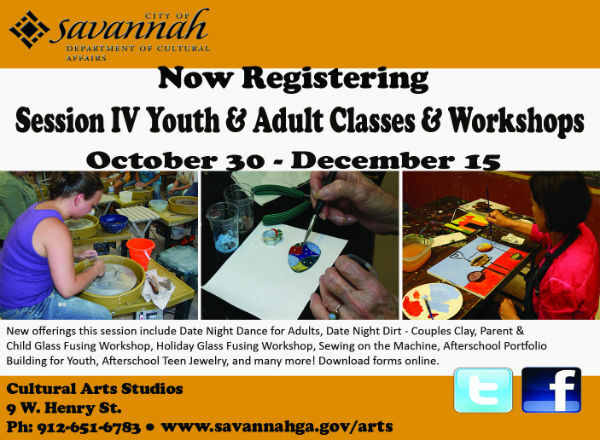 Join our exclusive training program and become an honorary Savannah History Museum Night Guard. 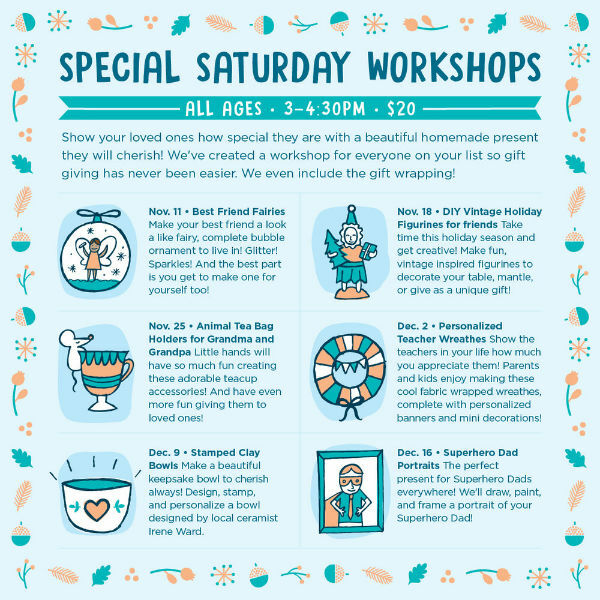 Don’t miss this unique opportunity! 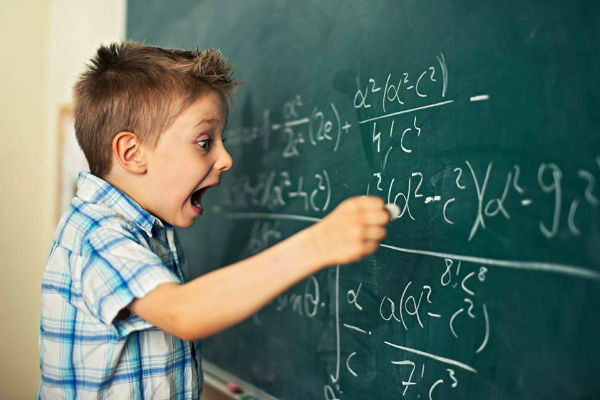 Whether your child is mad ABOUT math or mad AT math, Mathnasium has a program for them. Mathnasium builds an individualized program specifically for your student based on a comprehensive diagnostic assessment. They also provide homework help & work directly with your student’s teacher. Georgia History Festival’s Super Museum Sunday 2018 is Sun. 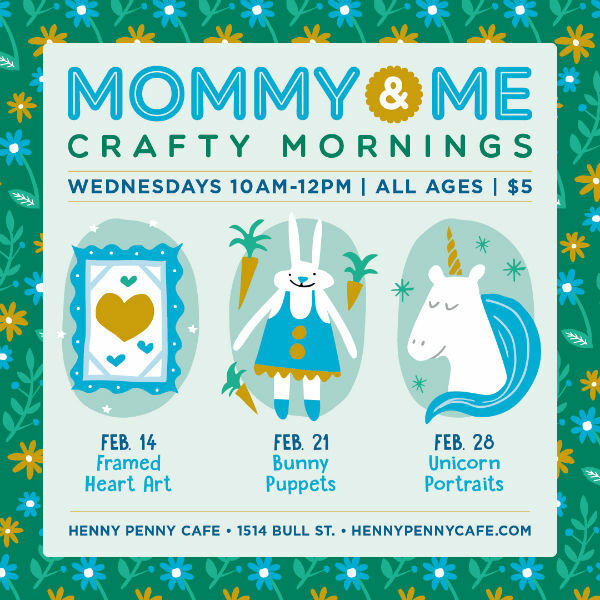 Feb. 11 when various museums and historical sites in the Savannah area are free and open to the public. See the list of participating Super Museum Sunday Sites here. Various sites will have free admission Feb. 11 2018 from noon – 4PM, unless alternate hours are listed. 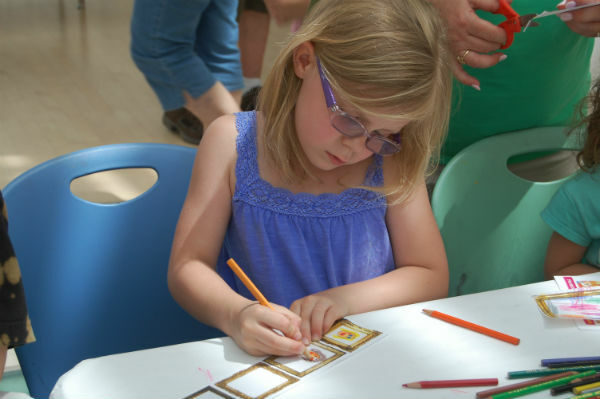 Telfair Museums’ three sites – The Jepson Center, Telfair Academy & Owens-Thomas House, will be open & free noon-4PM. Explore the exciting work of Carrie Mae Weems’ Sea Islands Series, meet and discover local artists, and create artworks that blend fabric, photography, and text. All Coastal Heritage Society sites – Savannah Children’s Museum, Georgia State Railroad Museum, Fort Jackson, Savannah History Museum – will be open & free. 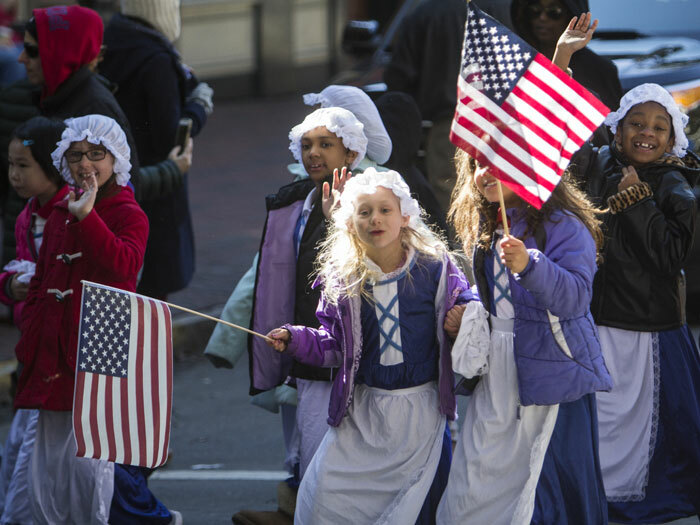 Students & teachers costumed as historical figures march through Savannah’s historic squares during this beloved annual event. Wormsloe Historic Site, 7601 Skidaway Rd, Savannah 31406. Experience life in Colonial Georgia during the 18th century with a military encampment, sutler’s row, craft demonstrations, military demonstrations, and period music and dance. Food concessions will be available. Free. 912-353-3023. 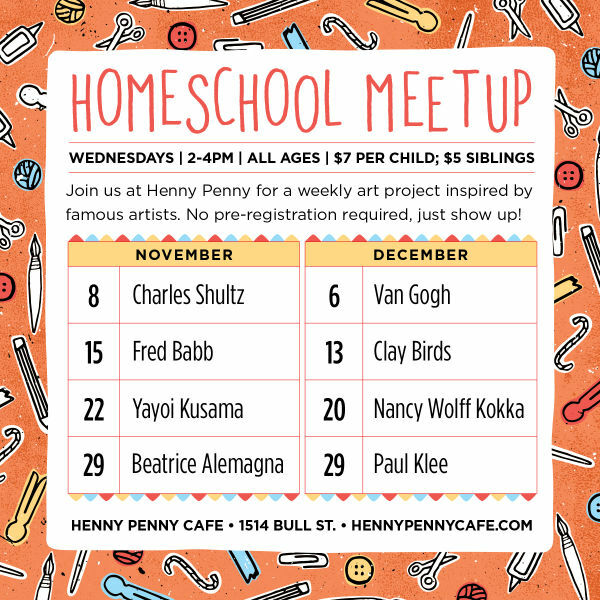 FOR MORE FREE SAVANNAH AREA KIDS’ EVENTS, CLICK HERE. 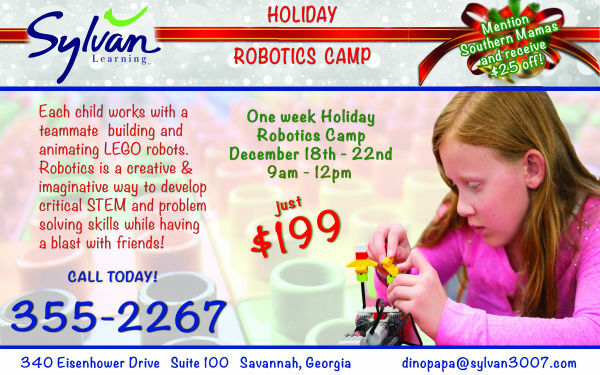 Sylvan Learning Center of Savannah will host a one-week Holiday Robotics Camp for kids. The Holiday Robotics Camp will be 9AM-Noon, Dec. 18-22 2017. New York Times-bestselling author Kwame Alexander is a poet, educator and author of 24 books, including “The Crossover,” which received the 2015 Newbery Medal. 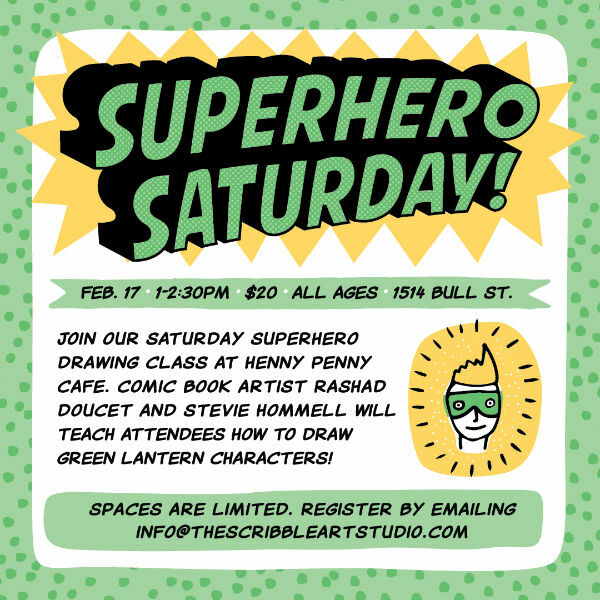 Also, dozens of indie authors, illustrators & performers. See the full list here. As well as free family entertainment. 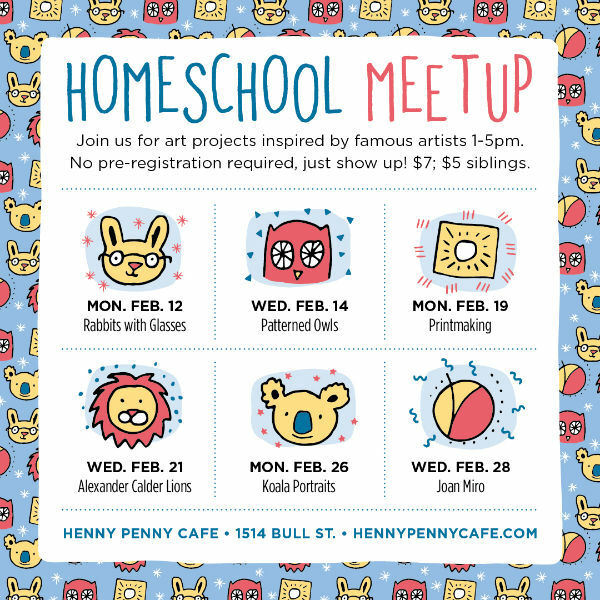 Henny Penny Art Space & Cafe in Savannah is knocking it out of the park – or, studio – this Winter 2017 with loads of fun weekly classes, fun open studio themes, Saturday workshops & homeschool meetups – for all ages. 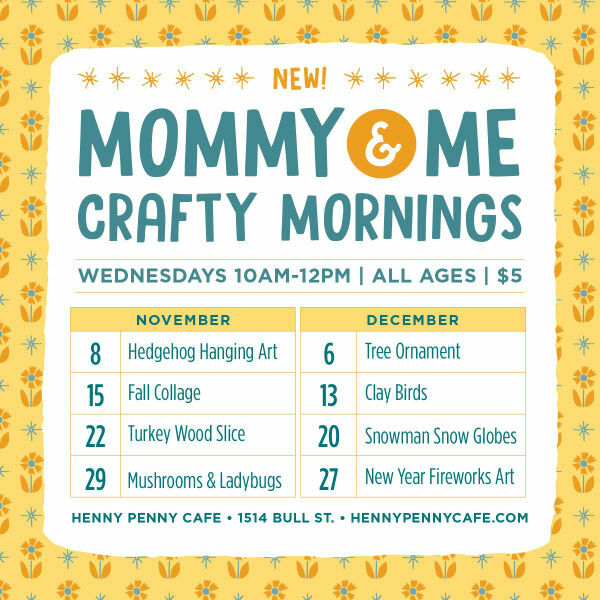 New programs to get exited about: Pretend Play on Mondays, 1-4PM & Homeschool Meet Up on Wednesdays, 2-4PM. Cost: $199. Mention SouthernMamas.com to receive a $25 discount. 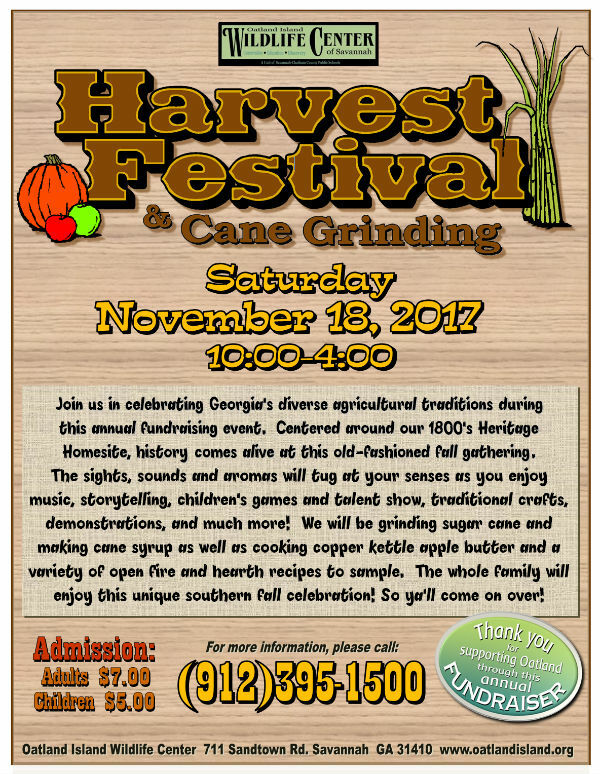 Come to Oatland Island Wildlife Center in Savannah for the 2017 Harvest Festival & Cane Grinding Sat. 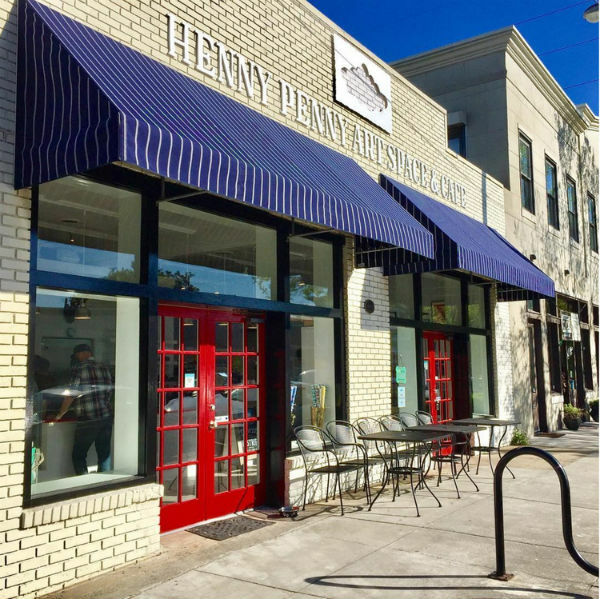 Nov. 18 to celebrate Georgia’s diverse agricultural traditions during this annual fundraising event. Centered around our 1800’s Heritage Homesite, history comes alive at this old-fashioned fall gathering. The sights, sounds & aromas will tug at your senses as you enjoy music, storytelling, children’s games & talent show, traditional crafts, demos & more. Oatland staff will be grinding sugar cane and making cane syrup as well as cooking copper kettle apple butter & a variety of open fire & hearth recipes to sample. Admission: $7 for adults; $5 for children. 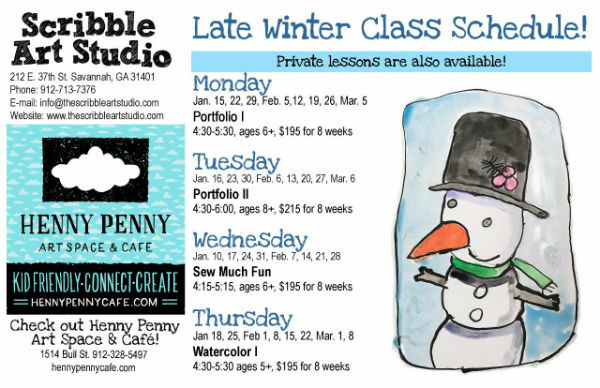 For more info, call 912-395-1517.